After his mother recovered Cody wished to enlist as a soldier, but was refused for his age. He began working with a United States freight caravan which delivered supplies to Fort Laramie. In 1863 he enlisted as a teamster with the rank of Private in Company H, 7th Kansas Cavalry and served until discharged in 1865. 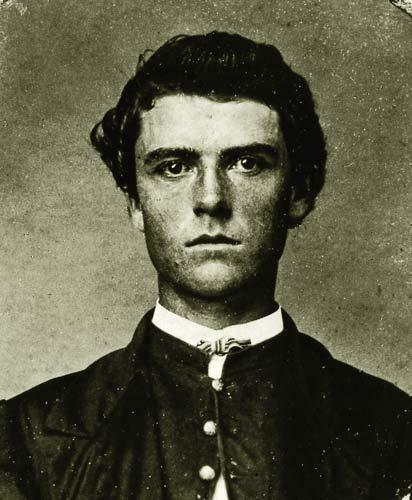 During the Civil War, Cody served first as a Union scout in campaigns against the Kiowa and Comanche, then in 1863 he enlisted with the Seventh Kansas Cavalry, which saw action in Missouri and Tennessee. The 7th Kansas Volunteer Cavalry Regiment (also known as "Jennison's Jayhawkers) was a cavalry regiment that served in the Union Army during the American Civil War. The 7th Kansas Cavalry was organized at Fort Leavenworth, Kansas on October 28, 1861. It mustered in for three years under the command of Colonel Charles R. Jennison. The regiment was attached to Department of Kansas to June 1862. 5th Division, Army of the Mississippi, to September 1862. 2nd Brigade, Cavalry Division, Army of the Mississippi, to November 1862. 1st Brigade, Cavalry Division, XIII Corps, Department of the Tennessee, to December 1862. 2nd Brigade, Cavalry Division, XVI Corps, Army of the Tennessee, to March 1863. Cavalry Brigade, District of Corinth, 2nd Division, XVI Corps, to June 1863. 3rd Brigade, 1st Cavalry Division, XVI Army Corps, to August 1863. 1st Brigade, 1st Cavalry Division, XVI Corps, to February 1864. Unattached, 1st Cavalry Division, XVI Corps, to June 1864. 1st Brigade, 1st Cavalry Division, District of West Tennessee, to September 1864. District of St. Louis, Missouri, Department of Missouri, to July 1865. Department of Kansas to September 1865. The 7th Kansas Cavalry mustered out of service at Fort Leavenworth on September 29, 1865. The regiment lost a total of 223 men during service; 3 officers and 55 enlisted men killed or mortally wounded, 1 officer and 164 enlisted men died of disease.